[vc_row css_animation=”” row_type=”row” use_row_as_full_screen_section=”no” type=”full_width” angled_section=”no” text_align=”left” background_image_as_pattern=”without_pattern”][vc_column][vc_column_text]The Institute may be steeped in history and tradition but the very existence of this web site, the fact that we tutor many of our students via e-mail and that globally ICS have members in more than 50 countries, perhaps proves that we are no strangers to the 21st Century. The Institute’s function is to set the highest standards of professional service to the shipping industry worldwide through education, example and discipline – and it has been doing that since the first decade of the last century. But the history of shipbroking and the foundations of today’s Institute go back much further than that – three centuries further in fact. In the early part of the 17th century, the City of London was already a hive of international business activity and brokers engineered many of the deals between buyers and sellers or between traders and shipowners. These brokers tended to be “jacks of all trades and masters of none” and inevitably they were not always highly regarded. It thus became the duty of the City authorities to curb the more nefarious activities being undertaken. In this endeavour they limited the number of brokers to one hundred, mainly Englishmen but also a few London-domiciled foreigners. Those admitted to this exclusive group were obliged to swear an oath before the City Council that they would “deal justly and fairly on behalf of their respective principals” hence the expression “Sworn Broker”. As might be expected, specialisation developed and it is recorded that, in 1674, the Common Council of the City of London made a declaration that no person was permitted “to make any manner of bargain or bargains, contract or contracts in or relating to the art of trade, of merchandising by exchange or the letting of ships for freight or hire, or otherwise, howsoever between any manner of persons” unless he had been admitted and sworn as a Broker before the City Council. This system continued for more than two hundred years and it is not clear when or why the practice died out. It is generally believed to have been overtaken by the self-regulation imposed by membership of the Baltic Club, the 19th century coffee house from which today’s Baltic Exchange evolved. Of course we now have today’s equivalent of the Sworn Shipbroker because a Fellow of our Institute by the authority of Her Majesty’s Privy Council may call him or her self a Chartered Shipbroker. Our Institute’s own history developed out of the Baltic Exchange but because the Baltic’s terms of reference were (and always have been) “to provide a market” shipbrokers wanted more – and not just in the City of London. Although London was then as it is today the main centre of the world’s dry cargo chartering, a great deal of chartering was also taking place in ports all around the British coast. The pattern was that a ship would arrive in, say, Cardiff to discharge a cargo of iron ore and the agent appointed to look after that ship’s affairs whilst she was in port, would traditionally have the task – and the right – to find outward employment, almost certainly with a coal cargo. Except for the major ports like London, Liverpool and Southampton, almost all Britain’s ports owed their existence at that time to the coal trade. Thus, parallel to the situation in the City of London, there were Shipbrokers Associations established in many UK ports; several of our branches today have archives relating to when they were local associations. To protect and promote by cooperation the general welfare and interest of shipbrokers. To discuss, consider and report upon subjects of interest to shipbrokers and to communicate with chambers of commerce and other public bodies. To promote or oppose legislative and other measures affecting the business of shipbrokers and to consider, originate and support improvements in maritime and commercial law. To consider all questions affecting the interest of persons engaged in the business of shipbrokers. To provide for better definition and protection of the profession or business of shipbrokers by a system of examination and the issue of certificates. It was this last activity which convinced the Privy Council that the Institute was a serious professional body and so on 21st January 1920 it was announced that “by the special grace and certain knowledge of His Majesty King George V” it was incorporated by Royal Charter and would henceforth be known as the Institute of Chartered Shipbrokers. The President in that momentous year was William Joseph Noble and his collection of Vice-Presidents read like pages from Burke’s Peerage, Lord Cowdray, Sir John R Ellerman, Lord Inchcape, Lord Inverforth, Sir Walter Runciman and Sir E. Shadforth Watts. The Council Chairman was Marmaduke Lawther. Much of Britain’s trade was with member countries of the Commonwealth and these distant places attracted many expatriates to emigrate and continue their shipbroking in such places as Hong Kong, South Africa, British Columbia in Canada. Their desire to maintain their membership of the Institute prompted them to open local branches. Fortunately this had been foreseen when the Charter was drafted so that membership was open to anyone in the British Commonwealth as well as the United Kingdom. A happy paradox was that Ireland was then the Irish Free State, which can best be described as half in and half out of the UK and so it was included in those countries covered by the Charter. A happy paradox because when Ireland became an independent republic, no one had the heart to change their Institute status. One popular Institute activity at until the 1970s was the publishing, every year, of a Scale of Minimum Agency Charges. These were mandatory upon members and were agreed annually with the Chamber of Shipping. Shipowners were happy to have such a scale because, when calculating the income from a voyage, anything that reduced the number of imponderables was welcome. Although fees were fixed, there was healthy competition on service and so everyone was happy – except the Government and the European Commission who cannot tolerate any such control on prices, and one useful Institute service to the shipping industry had to be dropped. The rapid development in trade and shipping following the end of the Second World War resulted in shipbrokers becoming specialised. No longer “jacks of all trades” but masters of dry cargo chartering, or tanker chartering or ship sale& purchase or port agency. Many companies which previously only handled tramps or tankers, responded to the demands for agents made by the rapidly expanding number of national shipping lines, many of which were owned by recently independent members of the British Commonwealth, thus Liner Agency became an important branch of shipbroking. It was in order to cope with the high degree of specialisation in shipping business that the Institute eventually modularised its examination syllabus and sub-divided shipbroking into six “disciplines”; the sixth was added because of the demand to extend our activities to take in ship operation and management. Evolution was proceeding rapidly in another area. Our programme of education, examination and eventual qualification was and still is unique so that shipping personnel in countries outside the Commonwealth were asking why they could not take our examinations and become members. This prompted a series of discussions with the Privy Council for whom it posed something of a problem. In the same way as the Institute is obliged to exercise discipline over its members, so the Privy Council exercises its discipline over chartered bodies. It is a noteworthy but not often publicised, that the authority of the Privy Council is even higher than that of the elected government, but sadly not higher than that of the European Commission. The solution to the Institute’s problem was for the Privy Council to impose the stricture that the Controlling Council must always have a majority of British subjects. With this clarified, a Supplemental Charter was granted in 1984 which permits membership to be offered to citizens of any country in the world. The same Supplemental Charter enabled the Institute to offer a new class of membership – Company Membership. Many official bodies, whilst recognising and respecting individual professional membership, are geared to working only with firms or companies. By creating this new class of membership, various initiatives have become possible, including having representation on official committees such as H.M.Customs and various port authorities. Perhaps the most significant appointment for Company Members has been the collection of Light Dues on behalf of Trinity House. The ICSSA is delighted to announce the appointment of our new Chairman, Master Mariner Mr Eddy Neilson (FICS). Eddy became a member of the ICS in 1994 and has since been a promoted to a Fellow. He has spent 11 years at sea, attaining his master foreign going certificate, thereafter 11 years at Grindrod/Unicorn and since has run his own shipping business for the last 20 years. 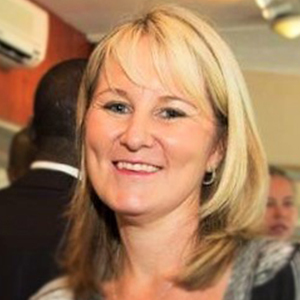 Alison started her career lecturing and tutoring Economics at the University of Natal in Durban. Later joining the Unicorn Lines and followed by periods as Line Manager and Liner Executive at Mitchell Cotts Maritime and Rennies Ships Agency. Alison has also tutored the Economics of Sea Transport Course for the SA Branch students and at Prep in both South Africa and Mombasa. She started her shipping career as an Operations secretary in Richards Bay in 1998. She travelled to the UK in 2001 to gain additional working and travel experience as a Cargo Forwarding Coordinator with Osprey Shipping UK Ltd. In 2004 she was awarded the highest achievement foe Economics of Sea transport. Before returning to South Africa in 2012 she gained additional experience in marketing, ISO, marine insurance, port agency, crew contacts, and HR support. 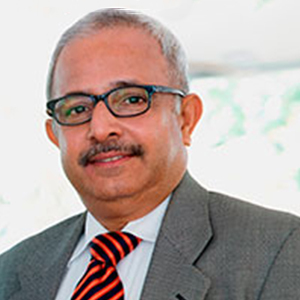 Over 30 years of work experience in various industries and in various countries in the Middle East, Red Sea region and African continent besides India – his home country. Presently based in South Africa holding the top position of an international group covering almost all facets of shipping and logistics. He holds two post graduate degrees – Master of Business Administration and Master of Commerce. Also holds a degree in Law and other qualifications in Sales, Marketing and General Management. Tony is a director at ENS (Edward Nathan Sonnenbergs), and has 26 years of experience as a shipping and logistics attorney specialising in maritime law. He has been a member of the Maritime Law Association of South Africa for 27 years, two as president. 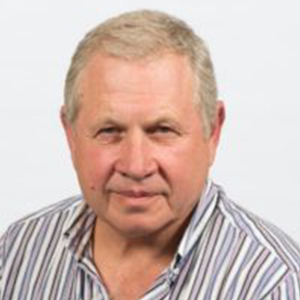 He is a Fellow of the Institute of Chartered Shipbrokers and has been Chairman of the South African Branch. He has been chairperson of the National Port Users Forum, an association of trade associations in the broader shipping industry. He has also lectured and spoken on Maritime Law and Commodity Trading matters at various seminars and forums. He is married to Lynn and enjoys outings with his family as well as reading and relaxing. Malte was born and raised in Germany and has started his career in shipping with DAL Deutsche Afrika-Linien in Hamburg some 28 years ago. He has worked in all fields of shipping, from water clerk to finance, from sales to operations. Since 2005 he is back in Africa for the second time in his life and still working for DAL. He lectured ‘Economics of Sea Transport & International Trade’ for the German Chapter of the ICS and was also appointed by the Hamburg Chamber of Commerce to chair an examination board for shipping students. Malte is also a Director of the ‘South African Association of Ship Operators & Agents’ (SAASOA) and serves the Durban Chapter of SAASOA as Chairman at the same time. Shelley started her shipping career in 2005 with the Ensign / Jadica group. She has held various positions within the group and is involved in vessel chartering, cargo broking, grain storage & handling and general cargo warehousing & logistics. She is currently a director & shareholder at Ensign Shipping & Logistics. Shelley is a tutor for Understanding Shipping and Dry Cargo Chartering. After attaining her B Comm (Accounts, Business Information Systems & Economics), Philippa worked abroad for 6 years. Upon returning to Durban she joined Grindrod’s Trading division as a Financial Accountant. She later transferred to a Management Accountant role in the shipping division and then took an opportunity to join the operations team. Philippa began and completed the MICS within 6 months of joining operations, achieving several subject prizes & being awarded joint top student. She is enjoying working as an Operations Executive and is using her extensive business process re-engineering & system implementation experience to continue to refine business processes in the workplace. She is married to Jeremy and recently had their first child. Hariesh has been in the shipping and freight industry for over a quarter of a century and has worked in several sectors covering clearing and forwarding, vessel operations, stowage planning, equipment control, sales and marketing and management. Hariesh is passionate about training and mentoring people in the shipping and freight industry as well as youth development. He shares his extensive knowledge and experience through his award winning Shipping and Freight Resource blog, an educational blog aimed at piquing the interest of newcomers to join the industry. Hariesh is also involved with the YCAP (Youth Citizens Action) Programme which undertakes mentoring and youth development in the townships. His other interests include web design, blogging, reading, pets and golf. Amanda has spent the last 15 years involved in the maritime industry. Having worked her way through the ranks within the Ships Agency business, Amanda is now actively involved in the day to day operations at D and A Shipping Richards Bay, where she has spent the last 5 years. She completed ICS Qualifying exams in 2009. 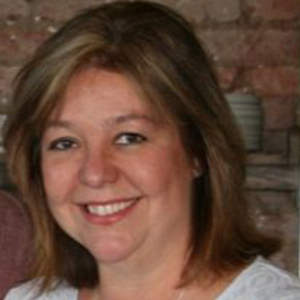 In her spare time, Amanda enjoys walking, mountain biking & spending time with her family. MBA ( Maritime Management) – Australian Maritime College. Bobby has more than 20 years experience in the commercial shipping environment and is currently the Operations Manager of the Mauritius Shipping Corporation Ltd (MSCL) based in Port Louis, Mauritius.